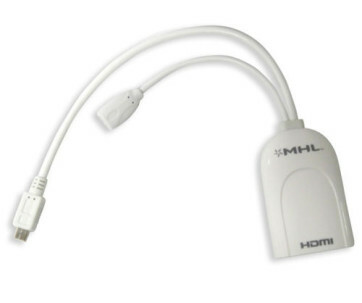 The MHL to HDMI Adapter with RCP has very powerful functions. It not only has built-in MHL bridge that easily let you connect your MHL mobile device to HDMI display, but also has built-in RCP(Remote Control Protocol) function that let you can use the Remote Control of HDTV to operate the MHL mobile device through HDTV’s CEC function. Supports wide Frequency Range: 25MHz~225MHz TMDS clock. Support HDMI resolution: 720p/60Hz, 1080i/60Hz, 1080p/24Hz/30Hz/60Hz.